Just as you have tools to manage your finances, marketing, inventory and, hopefully, social media, simply put, a blog is an online content management system (CMS). It can be personal place in a professional world where you, the owner, can put a human face on your business, share opinions and insight, and create a dialogue with consumers. It’s your place to say what you want directly to your consumers while improving your rank in search because you’re creating content that’s relevant to your business. That may be another topic altogether, but just know it’s an outlet for you to reach and interact with potential and current consumers by sharing content, which’ll ideally show off the fact that you’re an expert in your field or maybe even a tastemaker or trendsetter. The blogging software is the actual tool that manages this content (and enables you to edit and publish from a central interface), turning your words, thoughts, ideas, photos, videos and anything else you want to post into a format that’s easy for consumers to read and, if you’re using SEO properly, find too (because you’re also speaking the language of the Internet). Of course, you do have choices—many choices. So, which blogging platform is right for you? This week in Local U, NN's online small business education center, we're kicking off a series exploring the pros and cons of different blogging platforms. Whether you're concerned about ease of setup and integration, theme options, ease of use and updating, plugins, SEO tools, security, mobile or tablet capabilities (including apps for publishing), or price, we're here to help you find the best match. First up: A look at WordPress. While Blogger, Tumblr or any other number of blogging software names might sound familiar to you, there’s one platform that is truly ubiquitous: WordPress. The free, open-source blogging software and content management system has been powering websites and blogs for more than a decade now, and today there are almost 70 million WordPress sites in the world, from The New York Times to Forbes to the NFL and countless tech and pop culture blogs. “WordPress is a nice solution for a small business website,” says Mathew Simonton of Formic Media, a search engine marketing agency for small businesses. 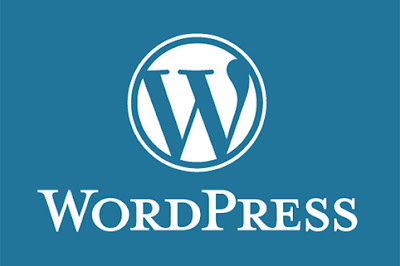 You can build your entire site (blog included) on the WordPress platform or extend your current presence with a WordPress blog installation, he explains. “With WordPress, you have two options,” explains Jennifer Rana of Made by Finch, a Portland-based website and graphic design studio that develops WordPress blogs and sites: A WordPress.com account is free and fully hosted by WordPress.com (plus, for a small fee, you can pay for a unique URL), or you can download the WordPress software (available at WordPress.org) and install it on your own site (aka self-hosting). Read more on the nitty-gritty details. Subscribe to Neighborhood Notes' small business education center, Local U, to read the rest of this article as well as follow our series on blogging platforms. A glowing Gabriela at Edgefield on July 6th. Rodrigo y Gabriela's latest Portland appearance was back to the basics—mostly. After sharing the Schnitzer stage in 2012 with a five-piece band—a Cuban orchestra dubbed C.U.B.A. (Collective Universal Band Association)—following the release of Area 52, Rod y Gab took the outdoor stage in their most impressive form—as a duo—at Edgefield on Saturday, July 6th. And while opener and C.U.B.A. collaborator Alex Wilson briefly joined the pair on piano, the performance was chiefly the familiar ol' Rod y Gab show we've come to adore—mostly. Last time in town, the music was full of new sounds but the songs weren't—every one was simply a re-envisioned take on material from the duo's self-titled record and 11:11. But this time, the setlist featured quite the offering of new material. Being only the second date of the tour, Rodrigo mentioned that they'd just come from the studio and were ready to show off songs from the forthcoming album. You could picture Rod y Gab getting pumped up backstage as Rage's f-bomb-filled "Killing in the Name" blared before the set. This was followed by Tool's "The Pot," which meant the duo was ready to take the stage. After opening the set seated for a new tune, "Hanuman" was the first opportunity for Rod y Gab to strut their stuff, showing off the power metal stance they've both perfected. As the natural light waned, the pair glowed, and (because I had the luxury of standing literally right underneath them while snapping photos for the first three songs) you could see the subtle, silent cues—speaking volumes with just their eyes—and not only to each other but also the audience. As Gabriela got into the groove, rapping her knuckles with more and more intensity, a brief respite would see her looking out into the crowd with a joyous, childlike smile while she yipped and bounced about the stage, one arm raised, finger pointing skyward. A tiny hint of "Stairway To Heaven" started off Rod's solo bit. The crowd wanted it so he kept going with the Latin-ized Zeppelin before (intentionally) botching it and mouthing: "I don't remember." Read the rest and see more photos on OMN.